Enjoy quinoa, a nutrient-rich grain that was honored as a sacred crop by the ancient Incas. 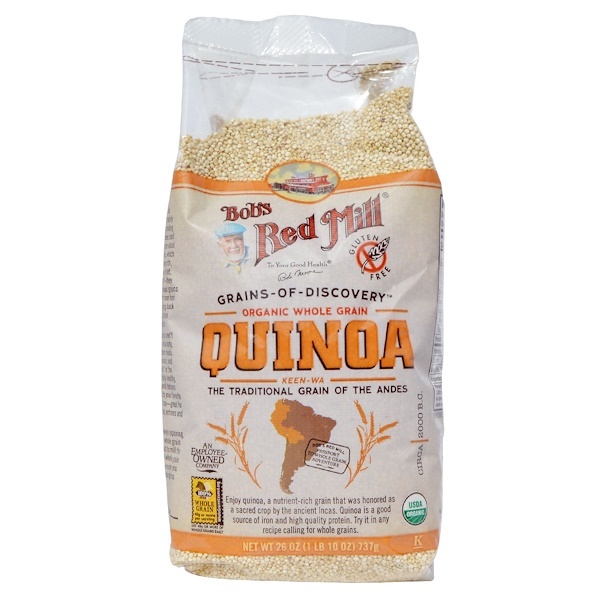 Quinoa is a good source of iron and high quality protein. 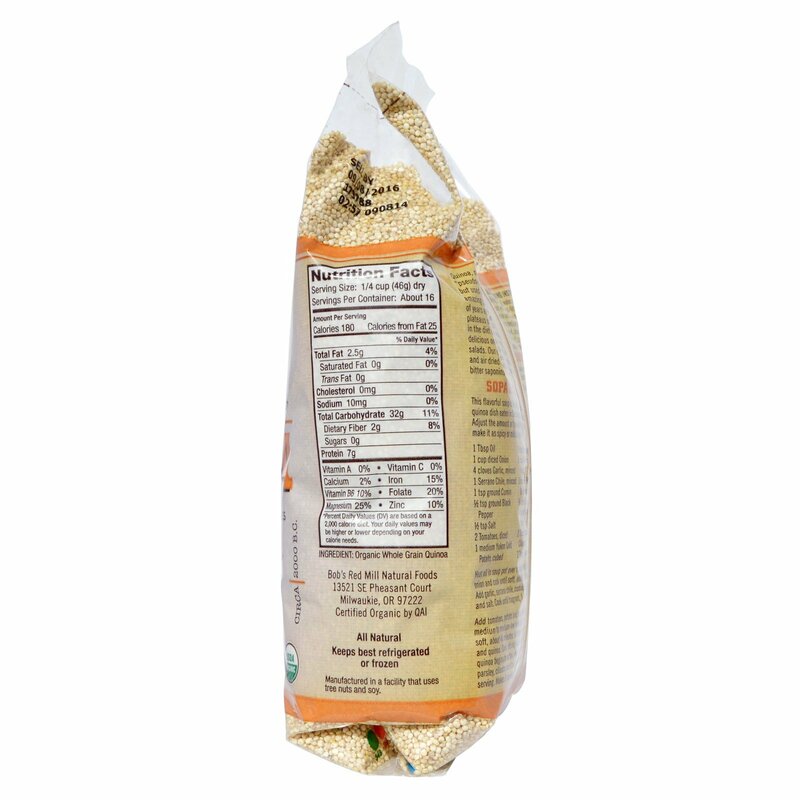 Try it in any recipe calling for whole grains. Quinoa, native to South America, is a "pseudo-grain"—actually a gluten-free seed, but used in cooking like a whole grain. This amazing plant was domesticated thousands of years ago near Lake Titicaca, high on the plateaus of the Andes, and it was a mainstay in the diet of the ancient Incas. Quinoa is delicious on its own and in pilafs, soups and salads. Our quinoa has been thoroughly rinsed and air dried to remove the naturally occurring bitter saponins. Bring 2 cups of water or stock to a boil in a pot with a tight-fitting lid. Add 1 cup quinoa and return to a boil. Cover, reduce heat to medium and simmer until liquid is absorbed, about 12 minutes. Remove from absorbed, about 12 minutes. Remove from heat, fluff, cover and let stand for 15 minutes. Makes 4 servings (About 4 cups). Bob's Red Mill products labeled Gluten Free are batch tested in our quality control laboratory. We use an ELSIA Gluten Assay test to confirm that a product is gluten free.